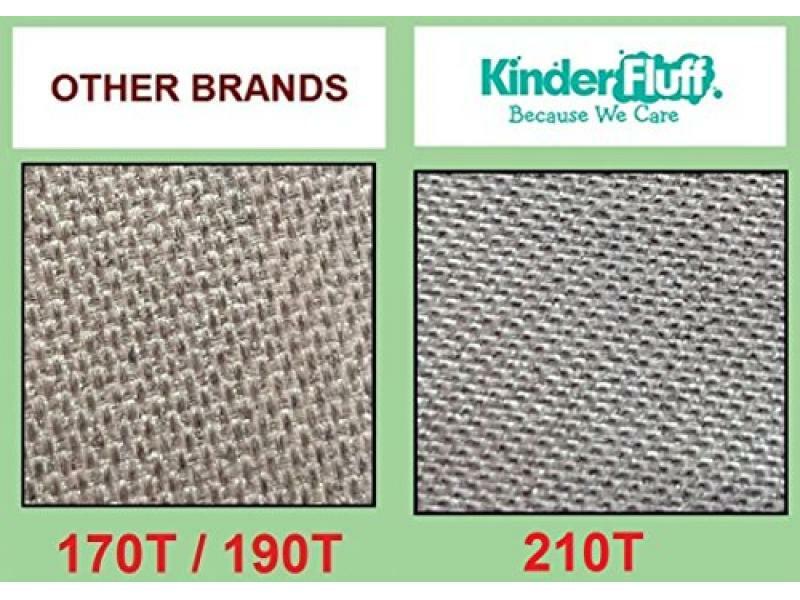 Higher Quality- While other brands make 170T/190T windshield sun shade, Kinder Fluff offers 210T high quality windshield sunshades which has higher density, providing better protection against Sun, UV and Heat build-up. Better Fit- Frustrated with your current car windshield sunshade being just a tad too small? We got you covered We offer wider windshield shade for better fit and easier set up. Compact Design- Our car window shade comes with a free compact travel pouch. Installs and folds in seconds without any suction cups or adhesives. Store your Car sunshade in your door pocket, behind your sun visor or behind your car seat protector. The Perfect Gift- This sunshade for car will make the best of auto gifts to match the baby infant car seats , the best of car gifts for anyone who loves car accessories or has children or pets that need sun protection.